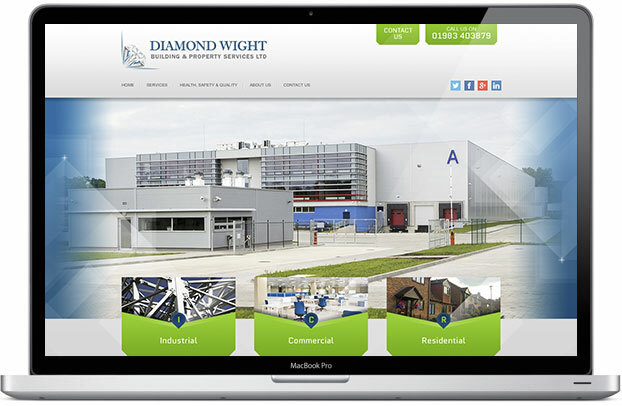 Diamond Wight are a building and property services company working across the south coast of England, and they required a website that displayed their core services working in the industrial, commercial and residential sectors. As a new company it was important to make them visible in a competitive marketplace and present their holistic approach to construction. The design incorporated the creation of a set of icons that illustrated the breadth of their capabilities, and that could also cross over into a brochure design and other printed material.